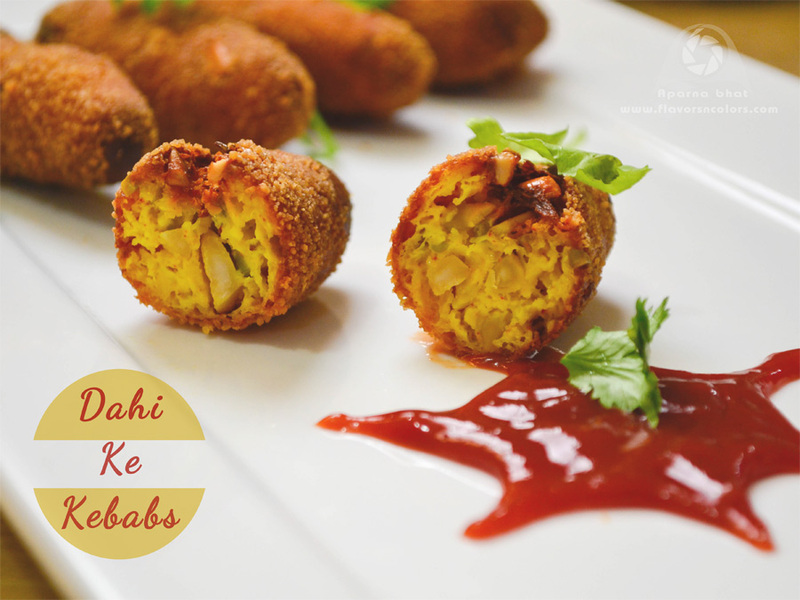 Dahi ke kababs is a traditional recipe from Awadh. 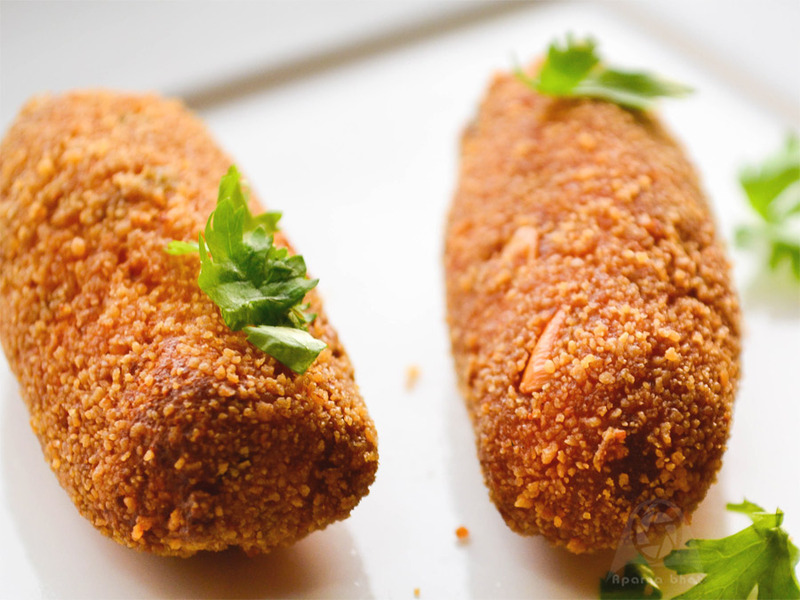 This melt in your mouth kind of kebab is prepared from hung curd, flavoured with spices and stuffed with dry fruits mixture. I felt the kebabs would break into small parts as we handle with the delicate soft hung curd but when I watched the video of its preparation I decided to give it a try. First attempt I shallow fried them whereas in my next attempt tried deep frying them as you see in the photos below. Both times this chatpata snack got finished in few mins. 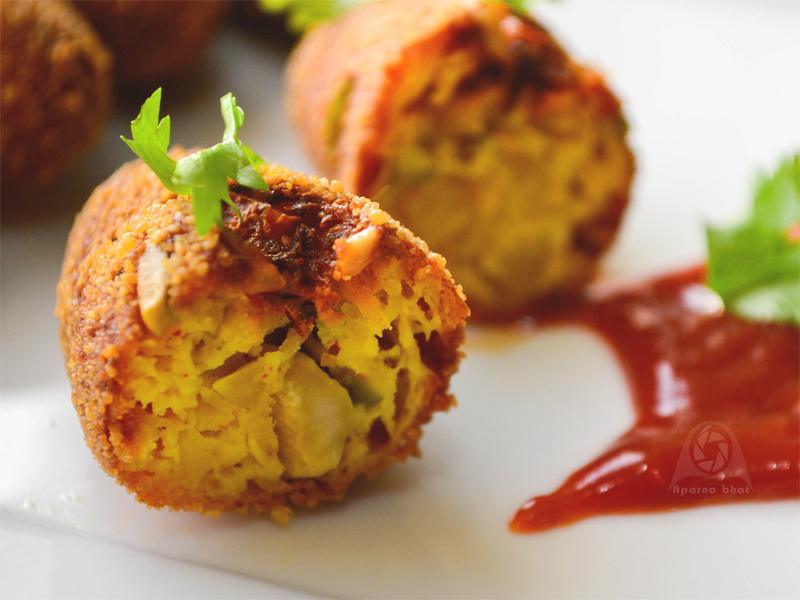 The recipe is inspired from Chef Rakesh Sethi preparation here. For the outer cover, mix all the ingredients [hung curd to garam masala] in a bowl. [The mixture is bit tricky to handle hence adjust the roasted gram flour as required enough to conveniently handle the mixture. Chilling the mixture helps me to shape them]. Next in a separate bowl mix the ingredients mentioned under stuffing. Once you have mixed the stuffing ingredients add 1 tbsp of curd mixture that helps in binding it together. Slightly oil your palms and work on the remaining curd mixture. Divide it into equal size ball and place the cashew pista mixture on each portion. Cover it by bringing the edges closer and pressing it. Shape them as you like - oval/ cylindrical/ round. Coat them with bread crumbs. Heat oil in a kadhai and deep fry these kebabs on medium flame, few at a time till they turn golden brown from all sides. Drain them on an absorbent paper and later serve hot it with chutney or sauce. Wowww, such a crispy and delicious dahi ke kebabs, highly irresistible.